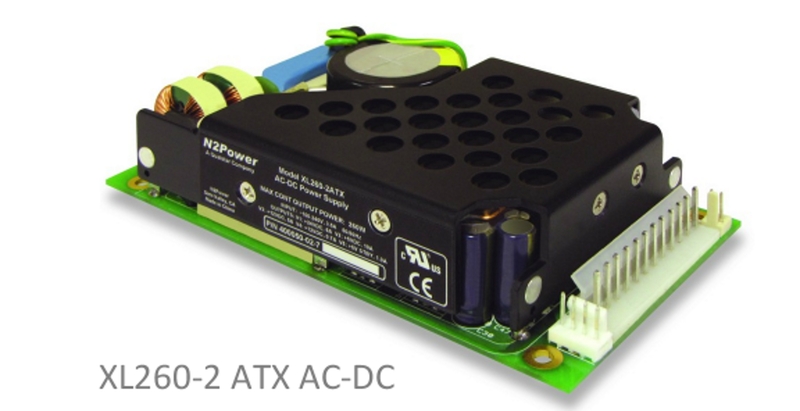 N2Power leads the power density race with its latest small, high efficiency ATX Series AC-DC power supplies. Our advanced technology yields a very small footprint, reduces wasted power, and offers the highest power density in its class. This efficient design means reduced energy costs, a greater return on your investment, greater reliability and longer product life. Our ATX Series models are designed expressly for OEM packaging in 1U and 2U chassis to deliver very high power density.